Eat better. Stay better. Live better. 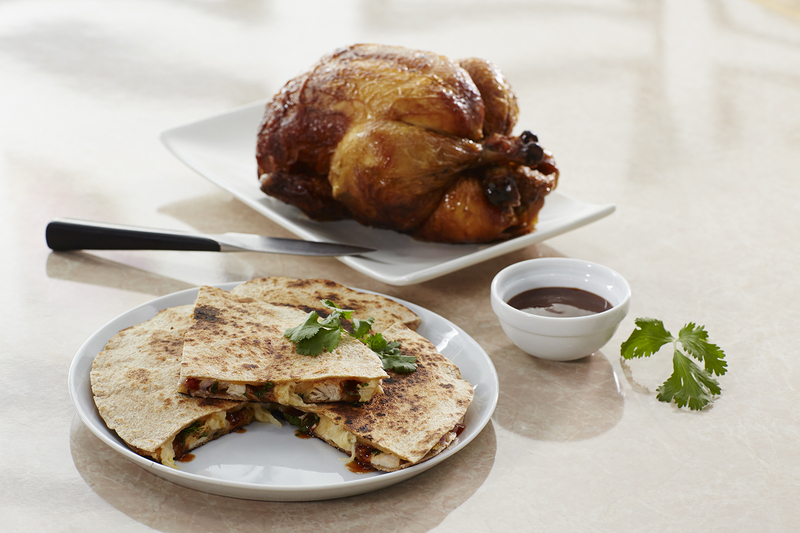 Extended Stay America (ESA), the largest company-owned/operated hotel chain with kitchens in every room, announces the release of “Away From Home Cooking” 3rd edition – an on-the-go digital cookbook available to guests and cooks looking for quick and delicious recipes. 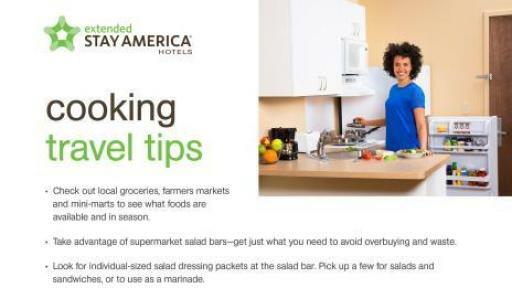 With Americans making more than 405 million long-distance trips per year1, and reportedly gaining 2-3 pounds on average after a two week period, Extended Stay America focused their latest edition on resources and recipes that supported healthy eating habits while away from home. 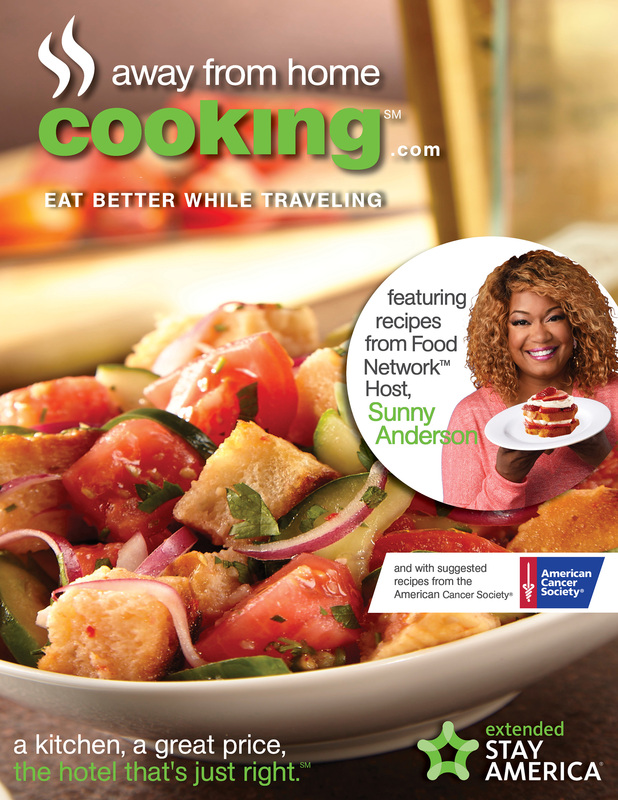 To bring this to life, ESA collaborated with partners, Food Network™ Host, Sunny Anderson and the American Cancer Society® to share some of their favorite recipes for eating better when traveling. The cookbook features 58 easy-to-prepare recipes as well as tips and tricks, perfect for families’ on-the-go or travelers seeking delicious home-cooked meals. 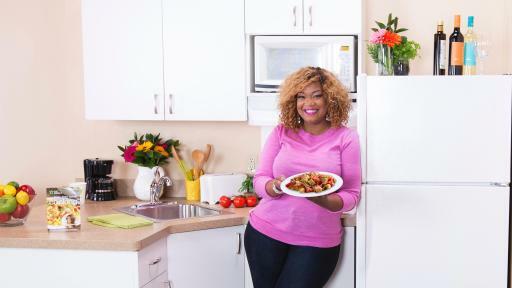 “During my travels, I’ve acquired a lot of knowledge on how to maintain healthier eating habits,” said Sunny Anderson. 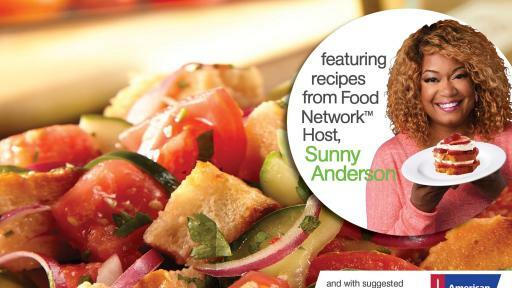 “Whether away from home or dealing with a schedule flipped upside down, the key is to focus on healthy eating patterns – heck, none of us are perfect all the time, but we can do a better job of making good-for-us choices!” Sunny’s culinary experience inspires 48 exclusive recipes found in Extended Stay America’s “Away From Home Cooking” booklet. From Sunny’s mouthwatering Blueberry BBQ Sliders to the comfort of the American Cancer Society’s® Chicken and White Bean Soup, there are recipes to fit any appetite within a balanced eating lifestyle. Whether away for a few days, weeks or longer, having access to a kitchen gives you the option and accessibility to make healthier food choices. Extended Stay America kitchens are complete with a full-size refrigerator, two-burner stovetop, microwave, toaster and coffeemaker, plus cooking utensils, dishes and cutlery, providing the option to dine-in instead of the usual choices of delivery and carry-out. 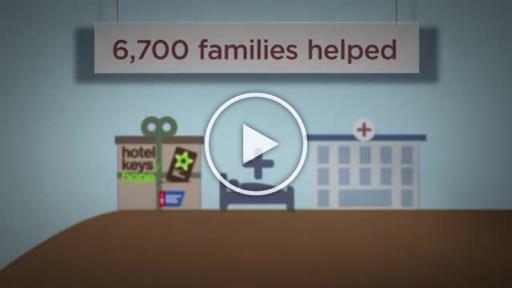 Extended Stay America puts travelers where they want to be, with more than 620 locations combining comfort with the convenient amenities of home. From free in-room Wi-Fi access and flat-screen TVs with premium channels to complimentary Grab and Go breakfast daily and pet-friendly accommodations, Extended Stay America provides the key to a great stay. 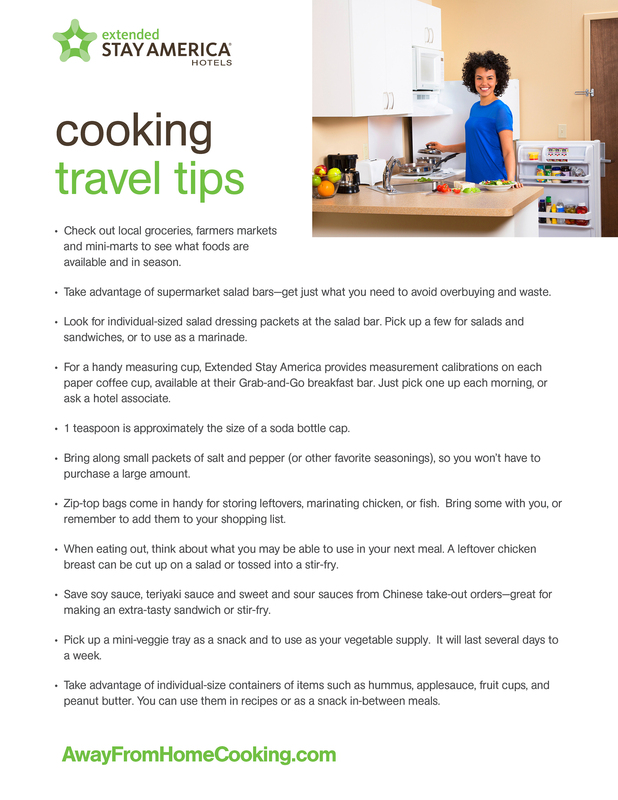 To see what’s cooking at Extended Stay America, visit the “Away From Home Cooking” online resource at AwayFromHomeCooking.com; book your next stay at ESA by calling 800-804-3724 or visit ExtendedStayAmerica.com for more information. 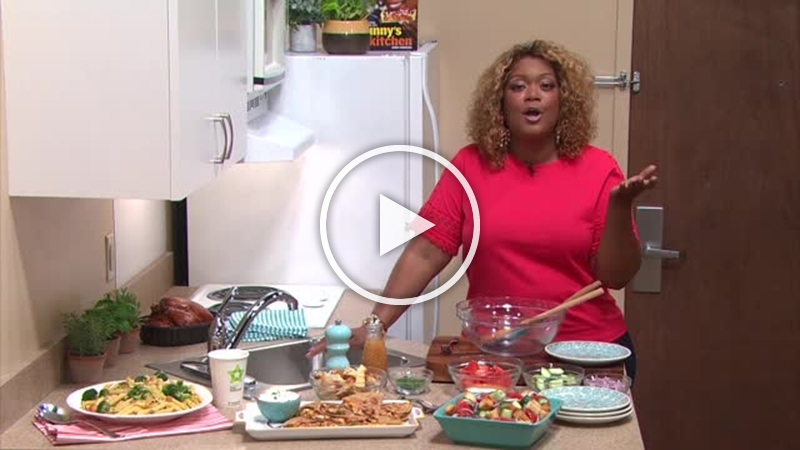 Sunny Anderson is one of five co-hosts of Food Network’s hit show The Kitchen, a weekly viewer destination for culinary conversation and delicious recipes. From simple supper ideas to the latest in food trends, The Kitchen covers all things fun in food. Sunny’s passion for food began at a young age; traveling the world as an Army brat her parents always encouraged her to indulge in the local cuisine. When she joined the Air Force as a radio broadcaster and journalist, she continued her trek through the world for news stories while indulging in culinary finds along the way. After leaving the Air Force as an award-winning broadcaster, she continued her travels as a radio DJ in many cities, culminating in her dream job in New York at a number-one rated radio station. 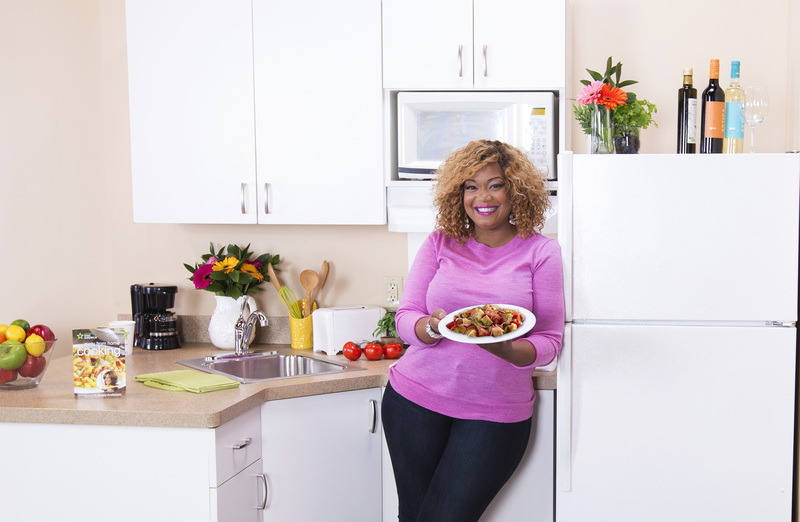 As a hobby Sunny began cooking for her friends in the entertainment business and turned her growing client list into a catering company; leading to a guest appearance on Food Network’s Emeril Live! 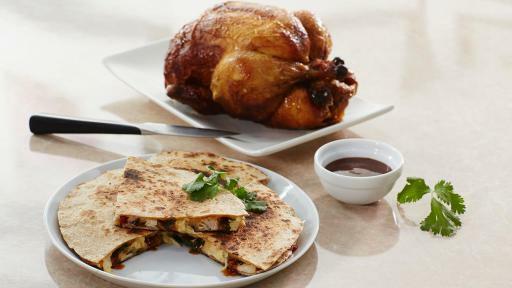 Shortly after the appearance, Sunny left her radio career and closed her catering business to focus on chasing yet another dream – sharing her recipes with the Food Network audience. Her first show Gotta Get It, a food gadget show, premiered in 2007, followed by Cooking for Real, How’d That Get On My Plate and Home Made in America with Sunny Anderson. Her cooking style combines classic comfort foods along with unique flavors inspired by her many travels. With an understanding of everyday life and the belief that real people deserve down-to-earth, delicious meals, Sunny offers real food for real life. In September 2013, she released her New York Times Best Selling debut cookbook, “Sunny’s Kitchen: Easy Food for Real Life” (Clarkson Potter). The American Cancer Society is a global grassroots force of more than three million volunteers saving lives and fighting for every birthday threatened by every cancer in every community. As the largest voluntary health organization, the Society’s efforts have contributed to a 20 percent decline in cancer death rates in the U.S. since 1991, and a 50 percent drop in smoking rates. Thanks in part to our progress nearly 14 million Americans who have had cancer and countless more who have avoided it will celebrate more birthdays this year. As we celebrate 100 years of service, we’re determined to finish the fight against cancer. We’re finding cures as the nation’s largest private, not-for-profit investor in cancer research, ensuring people facing cancer have the help they need and continuing the fight for access to quality health care, lifesaving screenings, clean air, and more. For more information, to get help, or to join the fight, call us anytime, day or night, at 1-800-227-2345 or visit cancer.org.